Discussion in 'Help and Support' started by nuskone, Feb 9, 2019.
so, all of these wild dreams i'm having, may not only take a toll on me due to how they make me feel, but also because they leave me phisically exhausted, kind of like jogging for a bit or something similar, due to the resources comsumed to just "see them"
does anyone feel like they can relate to this? Have you been very stressed or depressed at all lately? It sounds like you're having too much REM sleep, which would prolong dreams and cause tiredness. You've been waking up physically exhausted all your life? Actually, we dream every night! It's a common mistake for people to confuse "not remembering" with "not happening," and not just in the case of dreams. I think it's true that we often experience things more intensely than most people. Even just being me is exhausting, I get tired from doing nothing. don't feel stupid you're just in the exhaustion period of your life I've been in it for 12 years, one reason for traumatic dreams is hormone inbalance ,classic in pregnant women ,mine happened because I stopped taking an antidepressant too quickly. i'm at the point where I don't know if I'm just remembering things in my dreams that are going to happen or there just dreams I also get visions but that's because I'm a Christian and probably also because I'm autistic and so much more open to communication . But my biggest nuisance with dreams is waking up with all my muscles so tight they hurt and it feels like it takes a long time to get them to relax a little bit. I think I have read about brain activity consuming a lot of calories/energy, but don't know how much. Is a long dream the equivalent of a game of tennis or game of cards? I know they say we dream whether we remember or not but also heard dreaming depends upon reaching a certain stage of deeper sleep. I have gone long periods where I only seem to sleep in short bursts and not reach deep sleep and do not remember any dreams. But I never really studied it so am unsure. I know when I sleep longer periods I tend to have more remembered dreams. I also act out dreams a lot. I talk, shout and make movements like hitting and kicking in bad dreams. I have had to install a railing since I was falling or throwing myself out of bed and beating the crap out of myself in the process. We have a huge down comforter that makes you feel like you are in a cloud and shields my wife fairly well. 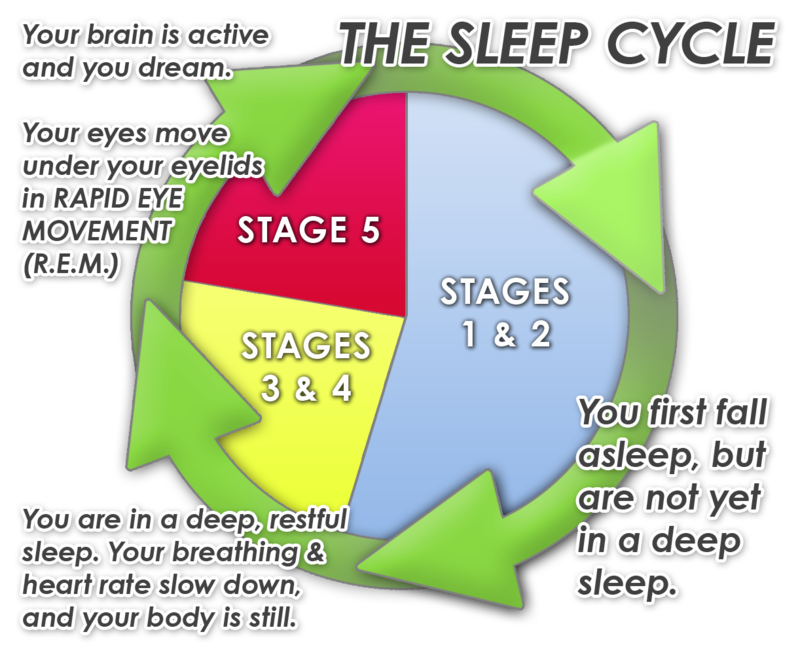 From what I remember, the primary difference in remembering and not remembering dreams depends on which part of the cycle you wake up in and what you do when you wake up. Sleep study is neuroscience, not psuedoscience. I have always had a lot of dream activity that I remember. My dreams are usually just like being awake, doing daily activities and talking with people. In answer to burning calories during REM dream sleep, the answer is yes, according to neuroscience. Our bodies burn calories when we sleep, especially during the REM (rapid eye movement) sleep stage, according to sleep specialist Dr. Michael Breus. During REM sleep, our glucose metabolism increases, accelerating the rate of calorie-burn. The longer you sleep, the more calories you burn — but oversleeping has the reverse effect, and slows down metabolism. I have exhausting dreams a lot. They just seem to go on forever, and I become aware and try to wake up but can't. I tend to sleep longer than usual and then I wake up feeling much worse than I did when I went to bed. I'm trying to walk down to my parent's house but when I get closer I somehow end up farther away. Or I'm blocked by things such as vehicles, people or even cows (there's a cow farm where my parent's live). I'm back in junior high school and it's time to go home. But I can never remember where my locker is or what the combination is to my lock. But somehow I always do find it but by that time the buses have all left. So I try to call my parents but I never can for some reason, and then I'm stuck at the school for what feels like hours, it gets pitch dark out but the school stays open. Sometimes I do get on the bus but it never stops near my house and it just goes everywhere else. I'm back in a group home with no memory of how or why I got there, but I assume that in a moment of pure insanity I moved out of my apartment and into the home because I had thought it was a good idea. But now the delirium has worn off and I want to go back to my apartment, but when I do it's either locked up or someone has already moved in. I have those type of dreams where I know it's a dream and want to wake up but can't. They are so weird and tiring. can't see well, can't open my eyes totally, or someone is talking to me and I can't speak. I know in the dream I am still in a dream and want out of the situation, but, just can't actually wake up. This goes on for a long time and leaves me tired when I do finally wake up. My Mom had this type of dreaming also.